Hopefully, wherever you are in the world, you get to eat outside regularly. As you may know, the authors of this blog live in Scotland where outdoor eating isn’t possible for most of the year. We’ve just enjoyed an exceptionally beautiful May in the West of Scotland, though, and it did present opportunities for al fresco dining. Frittatas are delicious anyway, but when you eat them outside, they taste that little bit better. The frittata is a friend to the low-carb diet. Try this one with some green salad leaves. 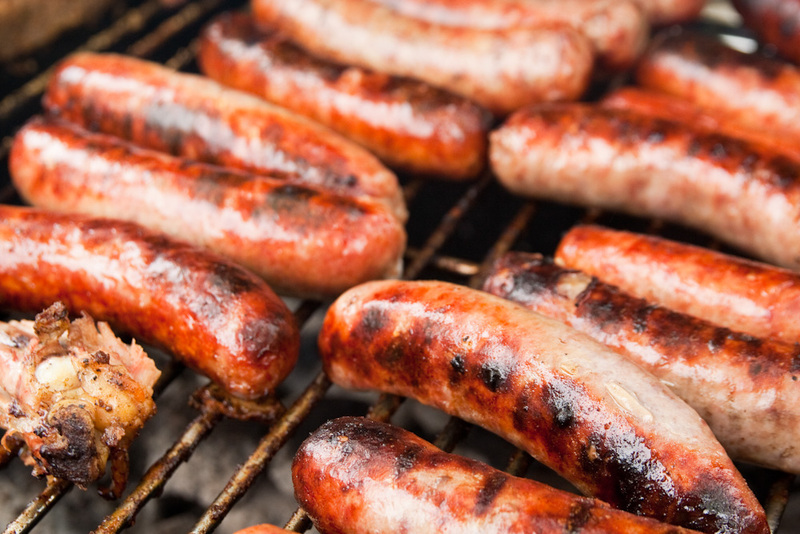 Grill the sausages according to the packet instructions until cook through. Chop into chunks. Heat the oil or butter in a large pan and fry the onions and mushrooms until cooked. This takes about five minutes. Add the sausage chunks and cook for another 30 seconds or so. Mix the eggs with the cheese, mustard and sage leaves. Add to the pan and tip to coat everything evenly. Lift the edges of the frittata with a spatula to allow the uncooked egg mixture to run underneath. If necessary, you can finish off the frittata under a grill set to medium-high. Serve with a dressed green salad or some broccoli with butter. Count 10g of net carbs for two servings and 7g for three.